You may not wish all of your staff to be available to be booked online. 1. 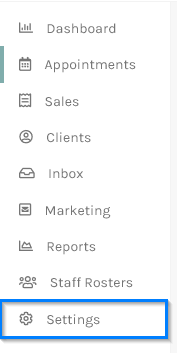 Click on Settings in the side menu. 2. Under the Staff heading click Manage Your Staff. 3. 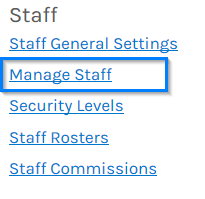 Click on the staff record you wish to change. 4. 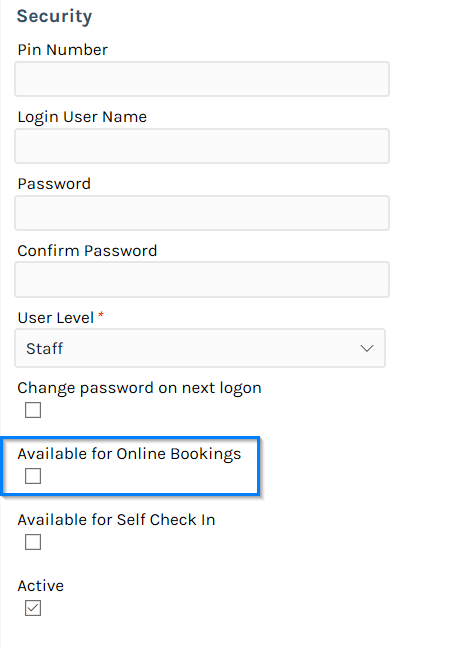 Untick the Available for Online Bookings option if you don't want them to be bookable. 5. Click Save button to update the changes.